"Tag, you're it." "Let's play." 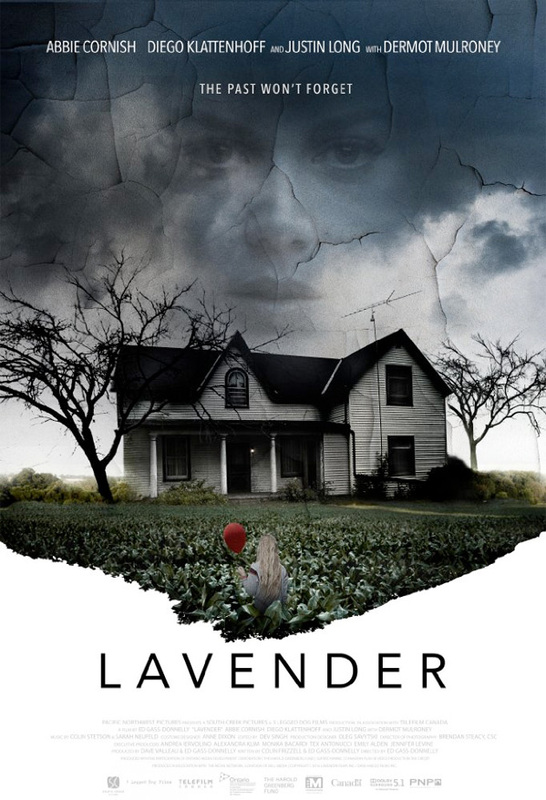 The first short teaser trailer has debuted for a horror film called Lavender, the latest from Canadian director Ed Gass-Donnelly (of Small Town Murder Song and The Last Exorcism Part II previously). The film stars Abbie Cornish as a woman who begins to see unexplained supernatural things around her home after losing her memory. Not the most original concept for a horror, but as always we hope there's something unique about these kind of indie films. The cast includes Diego Klattenhoff, Justin Long and Dermot Mulroney. If you're interested in any way, take a look - it's a very short teaser. The past won't forget… After losing her memory, a woman (Abbie Cornish) begins to see unexplained things after her psychiatrist suggests she visit her childhood home. Lavender is written and directed by Canadian filmmaker Ed Gass-Donnelly, of the films This Beautiful City, Small Town Murder Song and The Last Exorcism Part II previously. The screenplay is credited to Ed Gass-Donnelly and Colin Frizzell. This premiered at Tribeca Film Festival, and will likely show up at a few other film fests. Samuel Goldwyn Films will release Gass-Donnelly's Lavender in select US theaters starting March 3rd, 2017. Interested? If she is the killer...please no. This is so generic, and the execution so battered, you wouldn't watched it even if you will get paid to do so. But fans of paranormal sucktivity will love it. The trailer doesn't really give me anything to go off of. I'll wait for the reviews to see if this is the rare horror movie that is actually worth seeing. Yeah, teasers are supposed to tease and intrigue but this did nothing for me. It seems like with every passing year, the closer we get to October, the more horror/thriller movies get pumped out in force. The should call it "Schlocktober", schlocked full of mediocre horror movies.